Huge INT by Shak Taylor on 3rd down. Jayhawks take over at UT 22-yard line. 13:18 to play. 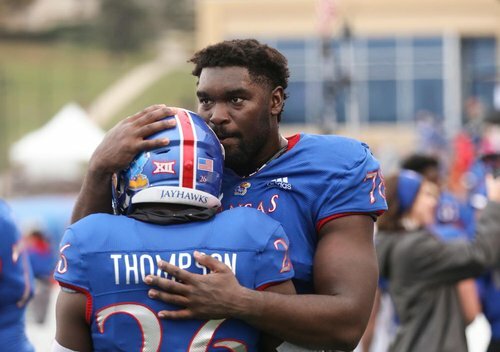 #KUfball down 21-7. Great play by UT LB Jeffrey McColloch to knock a Bender pass out of air and pick it off. Return flips the field. UT at KU's 25-yard line. 65 yards on the INT. #KUfball down 21-7. The Jayhawks havent played all that bad to me. Beaty is challenging the ruling. Lee was there stripping the ball as Dineen made the tackle on Tre Watson. UT adds to its lead with a 34-yard Dicker FG. Wow. Daylon Charlot with the 31-yard TD snag in the end zone as 2 UT defenders closed in. Makes Bender 16 of 31 on the day. Facemask penalty on UT puts KU at the 21-yard line. UT blows up KU's 3rd & 10 play. Bender sacked for loss of 6. It'll be 4th & 16 at UT 27-yard line. Gabriel Rui 45-yard field goal out of the timeout is true. 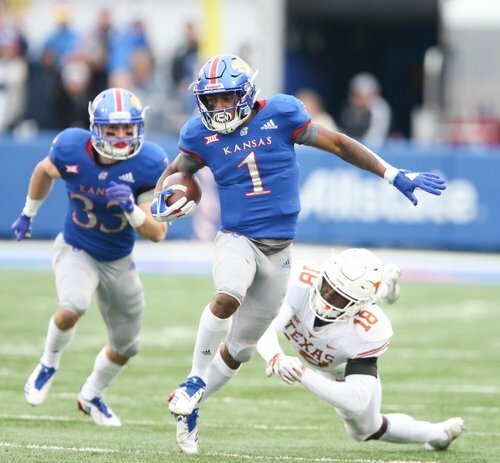 KU cuts Texas lead to 24-17. This onside kick doesn't work out for KU. UT takes over with 1:36 left. 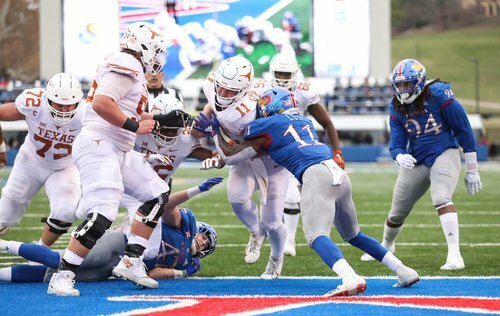 Jayhawks conclude 2018 season with 24-17 loss to Texas. They finish 3-9 overall, 1-8 in Big 12. 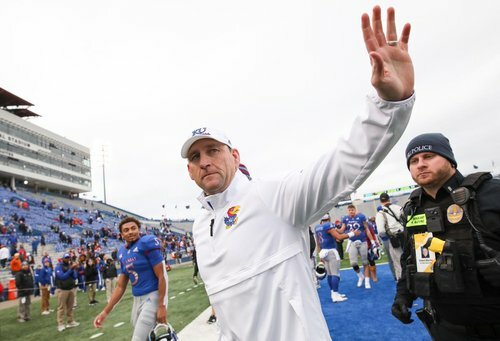 The David Beaty era concludes with his record at 6-42 overall, 2-34 in Big 12, after 4 years. As he walks off Kivisto Field for the final time in a #KUfball jersey, @JoeDineen18 has left his legacy.